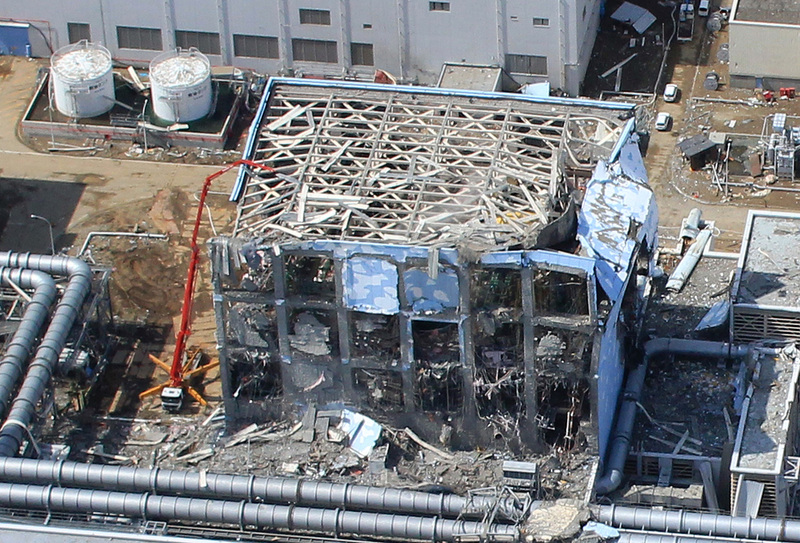 Although no one talks about it, we have known for several years that the destroyed reactors at Fukushima are not only deadly and creating more death by the hour, especially in the Pacific, but are very precarious and teetering on the edge of creating an extinction level event, now there is new photographic evidence. 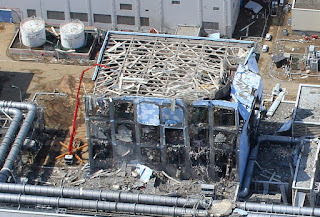 Recently Tepco removed the roof off of reactor building 4 and were able to get a camera in there. They think they may be seeing the collapse of the floor and the nuclear material melting through the floor and into the water table. This is not really new news, it's just that now we're beginning to have the photographic evidence to support this conclusion. It won't take much to set off a world altering nuclear chain reaction. For me this doesn't generate fear or concern, just another of 1,000 reasons why the current situation on this planet is unsustainable in the short run. If so, we must be leaving as God will surely return for us, His bride, before we blow ourselves up. Of course if you don't know God and have an exit strategy, you might want to repent, with fear and trembling. "...still they would not pay attention, they would not repent...."
Come, let us return to the Lord. For He has torn us, but He will heal us; He has wounded us, but He will bandage us. “He will revive us after two days; He will raise us up on the third day, that we may live before Him." So let us know, let us press on to know the Lord. His going forth is as certain as the dawn; and He will come to us like the rain, like the spring rain watering the earth. "just another of 1,000 reasons why the current situation on this PLANET is unsustainable in the short run." For the amount of extensive bible study you do, I truly find it shocking that you believe in planets. If you believe in planets then you probably don't believe in the biblical firmament above this earth, because you can't have outter space/planets AND a glass vault firmament that divides us from the Heaven above.